BATTERY INDICATOR WITH CHARGING CONNECTION: Gives clear indication on battery status, which makes it easy to see when charging is needed. The charger connection is placed next to the indicator, for extra convenient recharging of the battery. 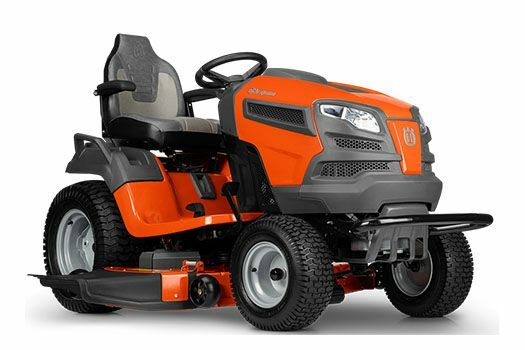 HYDDROSTATIC TRANSMISSION WITH LOCKING DIFFERENTIAL: The pedal operated hydrostatic transmission offers a smooth, variable forward and reverse speed while the standard automatic locking rear differential increases traction while cutting on slopes or wet grass. Seat Vinyl, Extra high - 21 in. Mowing Width Cutting - 48 in. Fuel Tank Capacity 4 gal.